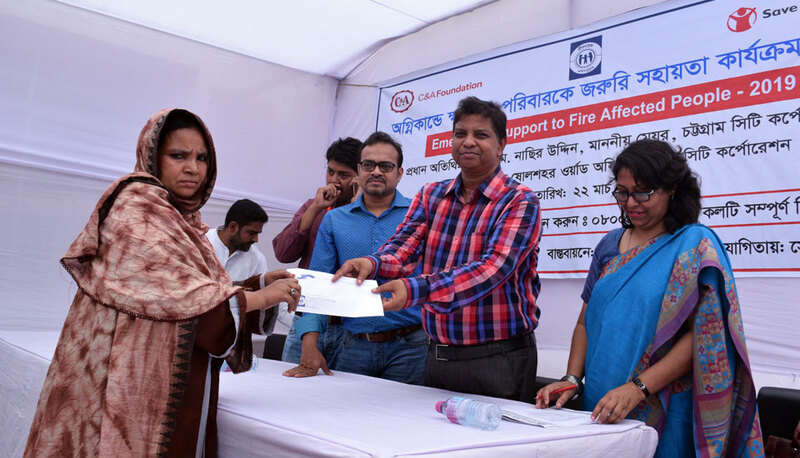 YPSA has distributed BDT 11,500 to each of the 115 fire affected families of Roufabad area at Chattogram with the support of Save the Children and C&A foundation. 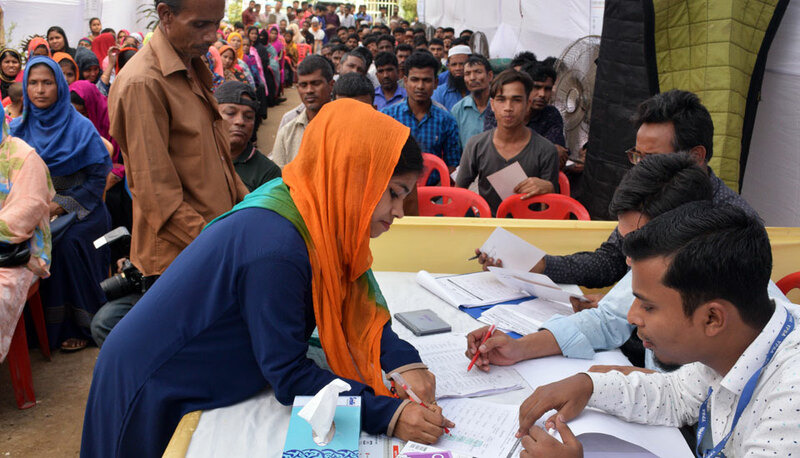 The distribution program was started on 22nd March, 2019 at the premises of 7 no. Ward Councilor’s office at Bibirhat, Chattogram. City Mayor Mr. A.Z. 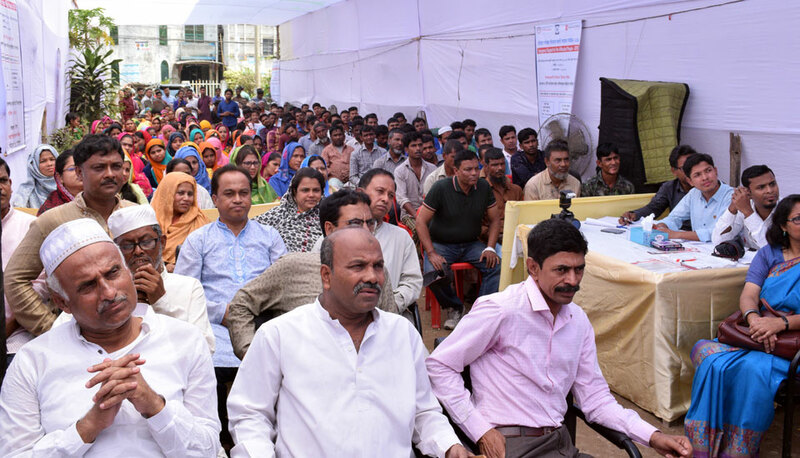 M Nasir Uddin was present there as chief guest and distributed emergency support to the effected people. 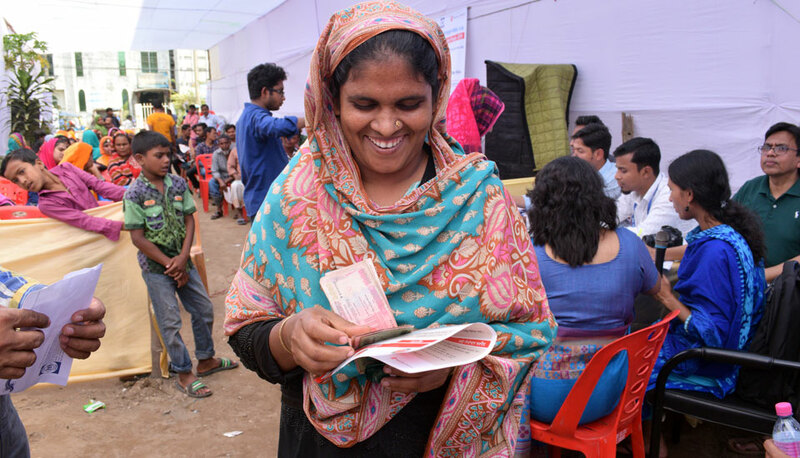 ‘I feel so happy to receive this cash support. 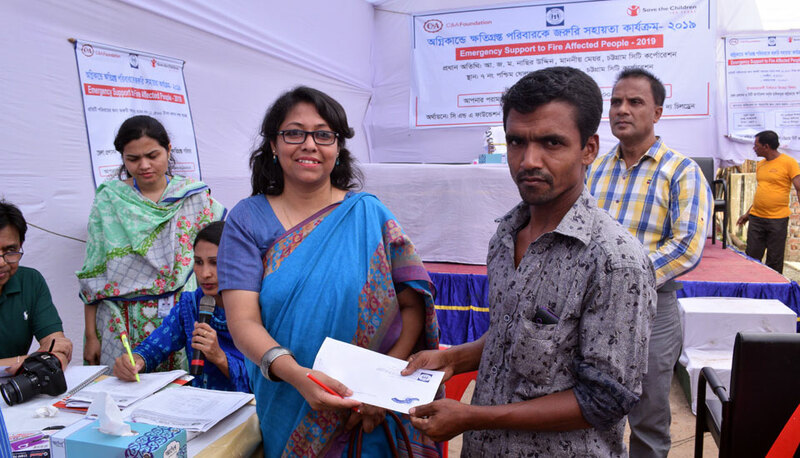 Now I can buy some necessary utensils for my household and repay loan which I had taken formerly” said Parvin, one of the fire affected people. 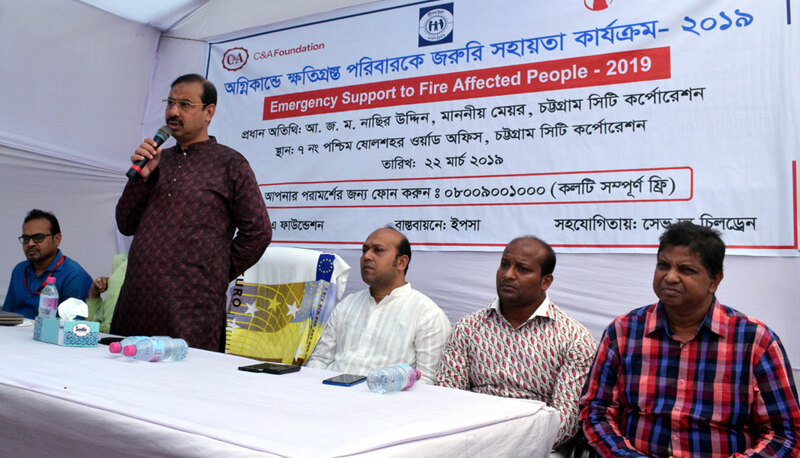 However, Slum people of Roufabad area which is a direct intervention area of Proyash II, had experienced a severe fire incident on 9thFebruary. Almost 200 people had lost their roof over their head due to this devastating fire. Mr. Md. Mobarak Ali, 7 no. Ward Councilor presided over the program while Mrs. Jesmin ParvinJessy, 7 & 8 no. 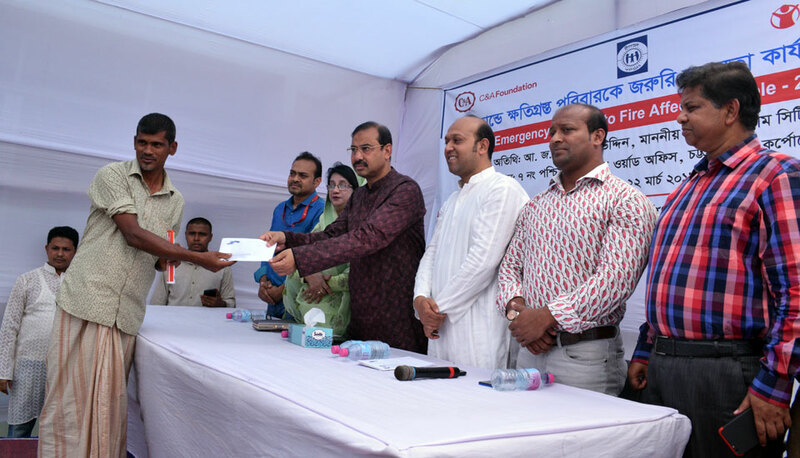 Ward Councilor (Reserved); Mr. Shoibal Das Sumon, 21 no.Ward Councilor; Mr. Polash Chowdhury; Finance Director & Focal person of Disaster-YPSA, Mrs. Nasim Banu, Deputy Director of Social Development-YPSA, Mr. Syed Matiul Ahsan; Deputy Director of Save the Children; Mr. Md Simon Rahman, Project Manager of Proyash II- Save the Children; Dukul Barua; Project Coordinator of YPSA were also present there as special guest.